Acting Out Studio Instructors are all highly trained, professional working actors that have the reputation for training students to be successful actors. 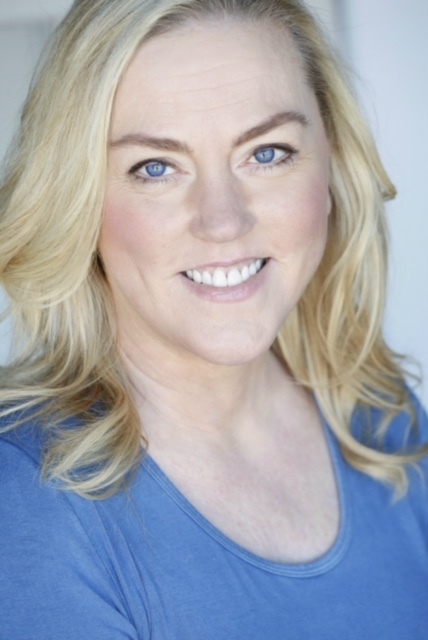 Founder of Acting Out Studio, Kamber brings over 20 years as an actress and over 10 years of training actors and guiding them through the business of acting. Kamber has established herself as an Award Winning studio for film and TV coaching in 3 locations. Originally from California and the first home of Acting Out Studio, Kamber started teaching acting so that she could bring her passion for acting to her students. Kamber teaches and consults actors and instills in them that becoming an actor is a journey and to enjoy and embrace every moment of it. Kamber’s students have been in many projects including Baby Driver, Bad Mom’s Christmas, Father Figures, Kilroy Was Here, Same Kind of Different as Me, Cold in July, Trumbo, Insidious: The Last Key, Wish Man, Allegiant ,The Week Of, Cobra Kai, Dark Waters, Modern Family, The Mindy Project, , Vampire Diaries, Nicky Ricky Dicky and Dawn, The Thundermans, Mighty Med, Austin and Ally, School of Rock, Dark Waters, Homeland, The Mentalist, and many more. She could not be more proud of her actors and what they have accomplished through Acting Out Studio. Although his film life has been in the foreground for the past 7 years, PJ has never left his love for the stage. Over the years he's directed and choreographed several musicals and theater productions across the country (integrating his hip hop background with his broadways and show tunes styles) as taken the stage to perform stand-up comedy whenever he gets the chance. PJ is excited to be apart of the Acting Out community, and is thoroughly enjoying teaching students, and helping them grow in their respective crafts. As a teacher, PJ feels he can not only influence, but also gain new information and learn from the unrestrained minds of the students, as they come into their own, and put their teachings to use. Logan is excited to combine his passion for teaching and his years of theatre experience to AOS! Born and raised in the mountains of North Carolina, his love for musical theatre begin at a very early age with his Great-Grandmother, watching musicals together as early as he can remember. Throughout his high school and college years he spent his time performing in community and professional venues as well as directing children's musical theatre. Logan began his professional theatre experience as a performer at Carowinds back in 2010, during his time at there, Logan began to take interest in performance quality and management positions. Missing the stage Logan traveled back up the mountain to become a live-entertainment performer at Tweetsie Railroad, there he performed in live train shows. Logan then brought his live entertainment and theatre experience back to the Charlotte area. His other passion is teaching, Logan is currently a middle school teacher in Charlotte and has been teaching for over 5 years. His desire to empower, encourage and engage students of any age to be their true self is his life’s joy. His love of teaching and theatre lead him to AOS! Logan also thanks his biggest supporter, Lindsey, for pushing him back into theatre. Logan is proud to have built the musical theatre program here at the studio and see it grow so quickly. Karla has spent her life on the stage performing in a variety of productions including Arsenic and Old Lace, Grease, The Sound of Music, Annie, Bye Bye Birdie, Barnum and Snoopy. She began taking theater classes at age 5 and continued to study acting until receiving her Bachelor’s Degree from the University of Georgia in Theater in 1998. Karla began performing improv in Charlotte in 2009. She is a resident cast member with Now are the Foxes Improv Comedy and Charlotte Comedy Theater. In addition to performing, Karla runs a short form improv team Off the Cuff Comedy, provides coaching to improv groups and was instrumental in setting up the Queen City Comedy Festival. Most recently, Karla was one of the founding members of Background Noise; Charlotte's first musical Improv team. Currently, Karla takes the stage each month at the Blumenthal Stage Door Theater as part of the Queen City Improv Room. When asked what she does when not on stage, she said: "I'm married with a teenage Son. I'm obsessed with Broadway, my Cavalier King Charles Spaniel, my Mini Cooper, Melissa McCarthy, Ireland & exclamations!!!!!" Karla also serves as our Social Media Director, coordinating our Facebook, Instagram and Twitter pages for the studio as well as our Improv Program and Team pages. Karla would love for you to share your photos, videos, bookings or other studio related materials. Berhan is one of Charlotte’s most observable fashion icons, and views clothing and accessories as means of self-expression. She has won several awards in the fashion industry and is featured in numerous magazines and campaigns. Berhan is the Modeling Coordinator and Model Director for Charlotte Seen, Charlotte Fashion Week and New York Fashion Week. She started the MODEL SEEN team and truly has refined and conformed many young talents models. She taught dancing at Spirit Square and is a huge supporter in the arts society. In 2001 she created her first musical fashion show locally and still continues to influence the fashion industry worldwide. Daniel loves musical theater, technology, and playing video games. He incorporates all of this into his teaching making it fun, current, and talent building. Daniel received his degree in Music from UNC Charlotte in Music with a concentration in voice. While there he also took many dance and theater classes to bolster his craft. His acting instruction strives to find the truth in the script and how the actor connects his own experiences to the role. Daniel has performed in New York City, Charlotte, Poland, and The United Kingdom. He has also taught private lessons in acting, voice and piano. Professional experience includes television, film, and theatrical credits. All while still studying his craft because he knows the importance of gaining more knowledge; which includes studies of multiple techniques of Meisner, Stanislavski, Boleslavski, Chubbuck and others. He incorporates these methods in his teaching to focus on the actor as a whole. Places he studied after his degree were Broadway Dance Center, Susan Batson Acting Studio, and Jeanette LoVetri director of The Voice Work-shop. Daniel strongly believes that we as artists are meant to use our craft to heal the world. Jesse Pritchard is a striving actor. 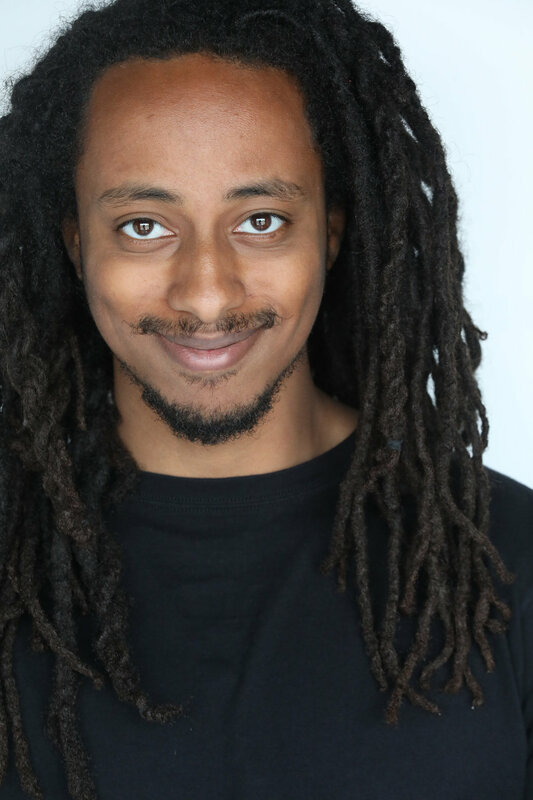 He graduated with a Theatre Performance Major from Winthrop University and is looking to delve into the Charlotte theatre life to eventually pursue his MFA in Acting. He has performed at several local theatres, such as Theatre Charlotte, The Warehouse, and even Carowinds as Jack Frost. Jesse also explores playwriting, having one of his works, Cat Bells, produced as a staged reading at The Warehouse for the Playwrights on Parade Festival. He is excited to be a part of the Acting Out Studio Team. Liz’s goal is to create a great audition for all her actors. Having been in the industry for over eleven years, Liz loves being in-front of the camera as well as behind it. Educating actors on what she has learned as an actor is key to their trust in her coaching. It’s so rewarding when one of her clients tells her that they have booked the role they have worked on. Liz also provides headshot sessions and loves bringing out her client’s personalities as they shoot. Liz has worked at Acting Out Studio for many years and has enjoyed watching how successful our students become through their hard work. Matthew has had a lifelong interest in acting, filmmaking, writing and making movies. In recent years, experiences lead him to be on the set of the hit Fox series, 'Shots Fired'. Since then he's participated in Talent Inc. garnering accolades and shot a variety of regional commercial work including Opera Carolina. In the summer of 2017 he co-ran an acting workshop to practice technique and theory and further sought teaching opportunities including workshops for the non-profit The Arts Empowerment Project and taught at Talent Inc. He now a teaches Acting Out Studio and continues the professional pursuit of his craft. Matthew also has a strong love for music. He received classical lessons with the Ukrainian pianist Julia Krapivnik before taking jazz and harmony lessons in Philadelphia with pianist Tom Lawton while attending University. Later, he picked up the guitar as a supplementary instrument to aid him in his travels and quickly added it to his 'personal package'. Recently, he has taken a modern approach to popular styles and is eager to share with his students his broad background with the instruments. Brianna is a 23 year old Professional Artist with a Fine Arts Degree in Theatre and a minor in Humanities. She studied at Milligan College in Johnson City, TN. Since the age of eight she has been trained in Classical Italian studying and performing all over. She has been singing and focusing on a plethora of styles ranging from classical Italian, Broadway, pop, country, contemporary to Jazz. From a young age she has performed at venues including The Billy Graham Library, to the stage of NBC's Studio show "The Winner Is in LA. Throughout her college career she performed with the Jonesborough Rep Theatre as well as apart of Theatre For Young Audiences around the tri- cities. She then traveled to Florida where she was hired as Character Performer at Walt Disney World. Her performance work has taken her overseas to the county of Australia. With her background skills in Theatre, Beginners Ballroom Styles and Vocal Training/Performance she is able to WOW the audience with her vocals, stage presence and her fiery passion that she brings. Being able to connect with the audience, tell a story and relate to them is what makes singing her most prized possession. She believes the art of music and Theatre should be shared with all and welcomes you to her world of Entertainment. 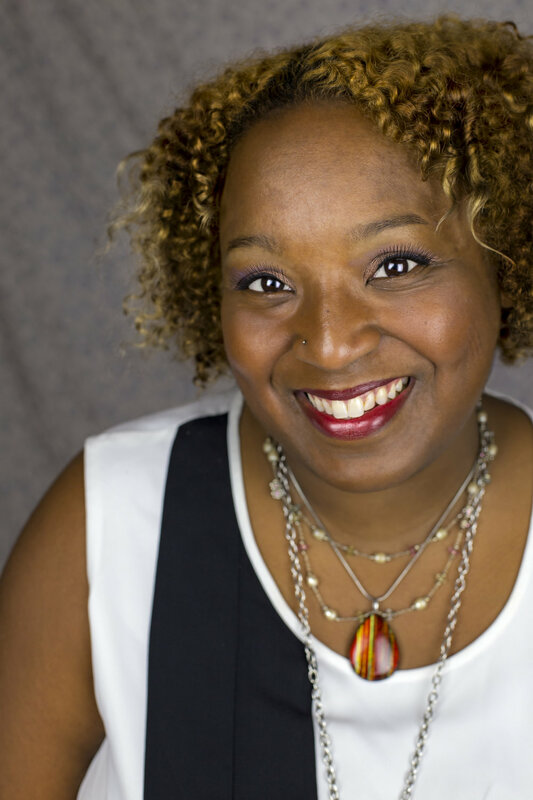 Rasheeda received her improvisation training at iO, formerly Improv Olympic, in Chicago, IL. She performed with three different teams there, and also performed with The Second City, The pH Comedy Theatre- where she was a co-artistic director, Victory Gardens, and The Annoyance Theatre. She received her BA from Greensboro College and her MFA from The University of Southern Mississippi, both in performance theatre. Along with teaching at AOS she will be touring with The Children's Theatre of Charlotte's Resident Touring Company, and hopes to perform original works throughout Charlotte. Hope fell in love with the art of acting the moment she planted her feet on the stage for her first ever performance in eighth grade. Her passion didn't stop at the scripts, it spread like wildfire to improvisation and musical theatre as well. Her hobbies consist of writing poetry, screenplays, scripts, and short films. Acting Out Studio is the place that gave Hope a gift greater than any, which is a life in the improv world. This gift Hope believes everyone should have the opportunity to experience. She is honored to be given the chance to share this gift to others through teaching at Acting Out Studio. ‘Ben’yame Assefa received a Bachelor’s Degree as a Film Studies concentrate, from North Carolina State University. Starting off with aims of being a film critic, he much sooner realized how much more enjoyable it is to create a body of work, whether it be through guiding and directing or working on set. Aside from being AOS’s new Film Assistant, Ben works as a Freelance Production Assistant, Videographer, and Editor, while still pursuing a further education through various programs. Ben has produced short films, interviews, and music videos and been a part of various large projects ranging from the Cannes Film Festival to contract work with LiveNation. From a young age, Emily has loved acting, theater, and film. She has performed in various theater and choir productions, has taken on roles in short films, and has modeled for local photographers. Emily has a competitive equestrian background and has taught horseback riding lessons for both children and adults. She has recently been able to explore the world of broadcast production through Elevation Church, while also working towards her Bachelor’s degree at the University of North Carolina at Charlotte. Emily is thrilled to be a part of the Acting Out Studio team. She is super excited that her passion for teaching and acting have been combined. Acting is something Alyssa has been passionate about from a young age. Alyssa began her acting career at seven years old performing with her local community theatre in Hawaii. After moving to the East Coast as a teen, it was there that she was firstintroduced to film acting and fell in love. Alyssa has been seen in several commercials, short films, and TV shows. 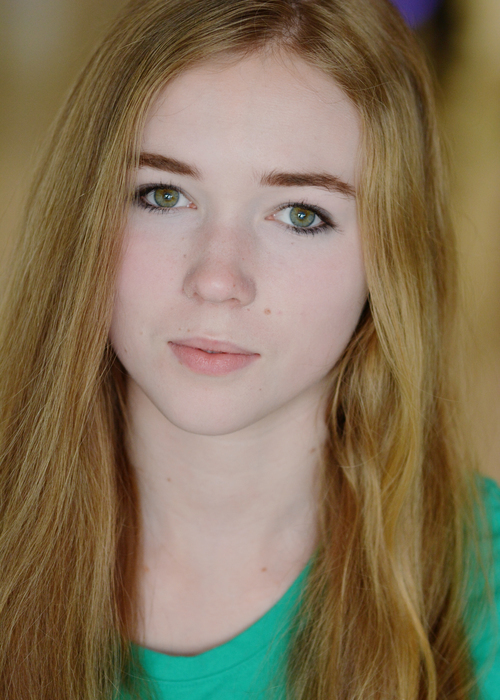 Alyssa has a strong passion for acting, and loves being around such talented actors at ActingOut Studio! Alyssa truly believes that acting brings out the best in people. “It challenges you, pushes you far beyond your limits, and brings you to do things you never knew possible.” Alyssa is currently a working actor on the East Coast and in the U.K.
Maddie Branca is currently a rising senior at Savannah College of Art and Design as a Performing Arts Major. She has been involved in acting and theatre since she was seven years old. Maddie has done a little bit of everything for I’m television, film, musicals and plays. Her focus and goal after graduating is to teach after realizing that teaching kids is her real passion!